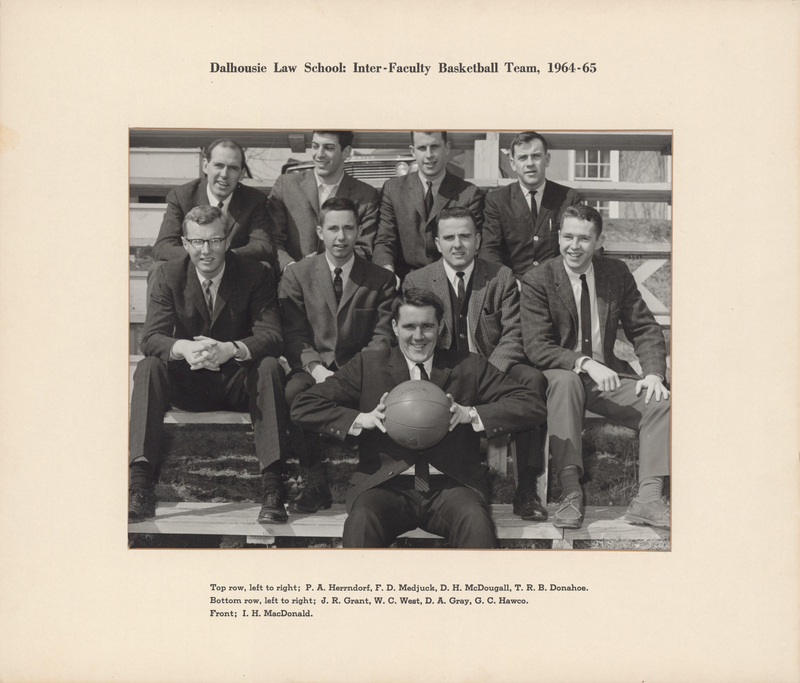 Item is a photograph of the 1964-1965 Dalhousie Law School Inter-Faculty Basketball Team. The photograph shows P.A. Herrndorf, F.D. Medjuck, D.H. McDougall, T.R.B. Donahoe, J.R. Grant, W.C. West, D.A. Gray, G.C. Hawco, and I.H. MacDonald sitting on bleachers in three rows. Photograph is mounted on a matboard but is detached from the matboard.